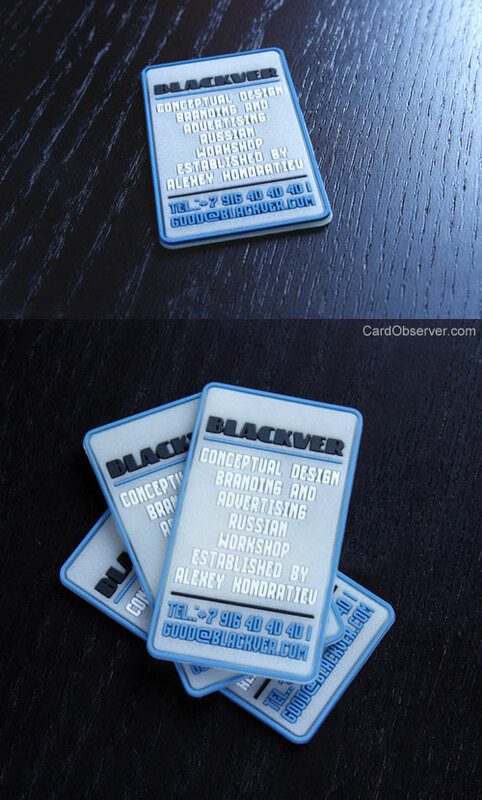 PVC business card made for self promo activities by BLACKVER. It can also be used as a perfect example of different advantages of PVC material and technology. This one of a kind unique business card can also double as a mobile phone holder, anti stress toy, tray for hot cups, badge, key ring, trinket, etc. and because of its striped raised edge along the border and back surface it has the ability to be placed on any vertical plane surfaces (mirror, metal board, refrigerator, glass) even without magnet. Time, water and temperature proof, durable. Fascinating.